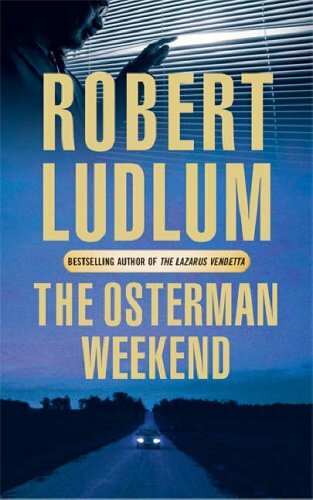 Exclusive: Robert Schwentke Has Signed on to Direct Robert Ludlum’s THE OSTERMAN WEEKEND for Summit; Update on R.I.P.D. This weekend was the big press junket for Summit Entertainment’s Red (click here for a review…it’s a lot of fun). While I’ll have tons of video interviews with the cast very soon, after the press conference ended with director Robert Schwentke, I managed to ask him a number of questions about the two projects he’s linked to – R.I.P.D. with Ryan Reynolds and a remake of Robert Ludlum’s The Osterman Weekend (previously made by Sam Peckinpah in 1983 with Rutger Hauer). While many assumed R.I.P.D. would definitely be his next project, Schwentke revealed he also signed to direct Ludlum’s The Osterman Weekend for Summit Entertainment. However, neither movie has a ready to shoot script, as Schwentke told me they’re still waiting on the script for The Osterman Weekend and R.I.P.D. is being re-written right now. What this probably means is Schwentke is hedging his bets and whichever script gets the green light will be the one he moves forward on. It’s the reason why directors sign on to five things at the same time, as no matter how big you are in Hollywood, getting a green light is still hard. Hit the jump for more info on both projects and to read/listen to what Schwentke had to say. Schwentke told me they’re getting a re-write on the script right now and he also confirmed he’s aiming for a PG-13 rating. The Osterman Weekend follows a hardworking attorney and loving husband, John Tanner, who is convinced by a CIA agent that the friends who have invited him to a weekend in the country are engaged in a conspiracy called Omega, which threatens national security. The film has been in development for some time over at Summit, and the script comes from Simon Kinberg (Sherlock Holmes, Mr. and Mrs. Smith). 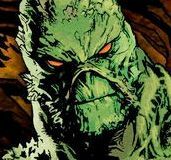 The pic is being produced by Kinberg and Peter Davis. It’s about a group of life-long friends who meet for their annual Osterman Weekend. And as the weekend progresses sort of old fishers and old issues flare up between the old friends. You start to realize that nothing is at it seems. That there’s actually a spy game a foot and there’s a spy component. It’s a Robert Ludlum book that it’s based on, so there would be a conspiratorial element. So it’s really about the characters and sort of the spy genre shot through a character prism, if you will. Which is intensely interesting to me because it reveals so much about humanity and it reveals so much about interrelations. Since neither film is shooting anytime soon, we’ll have plenty of updates on both projects as they move closer to getting made. For more on both, below is the full transcript of my exclusive conversation with Schwentke. You can also listen to what he had to say by clicking here. Again, look for a lot more on Red very soon. Collider: You’re involved in another project that you’ve been linked to. A certain comic book, if you will. Can you talk a little bit about how that’s going right now? Robert Schwentke: Well, its one of 3-4 projects that I’m pursuing, and it’s going really well. You’re talking about R.I.P.D. of course? Schwentke: I’m very, very excited by it because I also think that it’s a very special project again that has a lot of elements that I really respond to sort of at a molecular level. I feel like it’s going to give me the ability to mix those together for the first time. It’s got some buddy cop stuff in it and it has some romance in it. It has some action-comedy in it again. It’s going realty well. We are in the midst of re-writing it. I know Ryan’s schedule is quite crazy. I know he wouldn’t be filming it until next summer at the earliest. Do you think you can get another film in before that? Schwentke: No. I don’t think so. When you make a movie, it takes you away from your life for two years essentially, and I have family. I have things I like to do outside of the filmmaking process. So I’m not necessarily sad about not going right back into the trenches as it were. You mentioned you have a few other things you are thinking about. What are the other projects and is R.I.P.D. your number one priority for right now if you can get it going? Schwentke: That’s always hard to say – how things pan out and what works. Ideally, that would be terrific. But I have another project with Summit, which is The Osterman Weekend. Which I also love. Absolutely love. And there are other things, and they are all very different too. That’s the other thing. It’s not like they are all in the action sector, or they are all in the drama sector. They are kind of all over the map. So, ideally, I would like to make them all. [laughs] I think that’s the answer. This project that you mentioned, would that be with Lorenzo di Bonaventura again? So it’s just a project at Summit? Can you say what it’s about? Schwentke: Yeah. It’s about a group of life-long friends who meet for their annual Osterman Weekend. And as the weekend progresses sort of old fishers and old issues flare up between the old friends. You start to realize that nothing is at it seems. That there’s actually a spy game a foot and there’s a spy component. It’s a Robert Ludlum book that it’s based on, so there would be a conspiratorial element. So it’s really about the characters and sort of the spy genre shot through a character prism, if you will. Which is intensely interesting to me because it reveals so much about humanity and it reveals so much about interrelations. How far along are you on that project? Is there a script that is ready to go? Schwentke: We are waiting for a script to come in. Have you signed on for R.I.P.D., or are you in talks to? Schwentke: No. I’ve signed on to R.I.P.D., but I’ve also signed on to Osterman Weekend. My question is, with Ryan attached and the heat that he is generating. Are you already thinking about who could be partnered with Ryan? Schwentke: We’ve been sort of thinking about it, but we haven’t really had a chance to have long conversations because we are at the very beginning of that process. So there’s not really a name that has risen to the top yet. But we are definitely looking for a strong comedic voice for that role. For both of the projects that you are talking about, are these R? PG-13? Schwentke: You know, I don’t think there’s a reason for either one to be R. As I mentioned earlier, I’m somewhat squeamish myself. I don’t think the rating issue should manifest itself in like pulling your punches. I think you can make movies that don’t have to pull their punches and don’t feel like they’ve been neutered by a rating. So hopefully it doesn’t feel like you’re watching a PG-13 movie and that there were things that we weren’t able to do. To my eyes, Red doesn’t necessarily feel like a PG-13 movie, but it is. It doesn’t feel like an R-rated movie either, but it doesn’t feel like we were somehow…you know. You have some good explosions of people in Red. Schwentke: Yeah. So I think the spirit is not PG-13, even if the imagery is. With the Robert Ludlum project, are you already thinking about some casting or are you waiting for the script? Schwentke: No. We are waiting for the script and then those conversations will commence. So those are the two main things you are circling right now? Schwentke: Yeah. There are other things as well where I am in talks with the studio, or where we are talking about hiring writers and all of that. So there’s a bunch of stuff out there.